"Tomorrow When the War Began" is a pulse-pounding action thriller that follows the journey of eight high school friends in an Australian coastal town whose lives are suddenly and violently upended by an invasion that no one saw coming. Caitlin Stasey stars as 17-year-old Ellie Linton, a precocious teen who leads her best friends including Corrie (Rachel Hurd-Wood) and Kevin (Lincoln Lewis) to an isolated, deep in the woods camp site named ‘Hell.’ Upon returning, they come to grips with the fact that their country has been overrun by a mysterious, invading army. 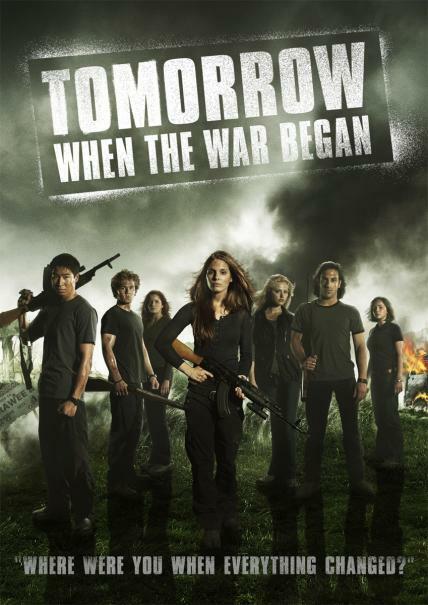 When the hostile armed forces become alerted to the presence of the teenagers, Ellie and her friends, along with a new recruit (apathetic stoner Chris Lang, played by Andrew Ryan) – must band together to escape, outwit and strike back against the mysterious enemy that has seized control of the their town and imprisoned their friends and loved ones.